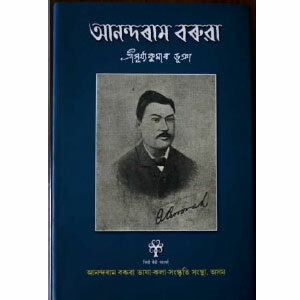 This is a biography of Anundoram Borooah written by Dr. Surjya Kumar Bhuyan and published for the first time in the year 1920. This present ABILAC publication is a reprint of the 1992 edition of the book published by Lawyers Book Stall. The book deals with the life and works of the great Sanskritist Anundoram Borooah. The scholarly preface by the author Dr. Surjya Kumar Bhuyan is illuminating as well as evident of the acumen of the biographer. This is regarded to be one of the best examples of biography in Assamese.